Higher Education Technical Assistance Program. Thank you for the invitation to share with you today and for the opportunity to think through my research journey. As noted in my introduction I’ve worked on a number of projects and have all sorts of stories about the trials and joys of working with community, so if you have questions about those projects please ask. But for this presentation, my research journey presentation, I kind of have a bone to pick about grant applications and the biosketch section we have to fill out. As I was preparing this presentation I got an email from our grants assistant telling me I needed to update my bio-sketch – so let’s have a talk about these documents that are supposed to track our research journeys. So you all know about the NIH biosketch?? When you apply for funding the Biographical Sketch or “biosketch,” as it is more commonly referred to, is a document that you are asked to supply with your application. The first time, in the early 2000s I had to fill one out it requested my employment record, publications, and previous and current funding within the past 3 years. The format of that first biosketch was an evaluation of my productivity, what had I done in my career that was relevant to the funding I was asking for. But it was just a sketch, the barest of outlines. The funny thing is that it also makes it appear as if you always knew that this is what you wanted, this was the path I was on and I always knew where I wanted to go. I didn’t know I was going to be a medical anthropologist. I thought I was going to graduate school to study sociology of art, I was intrigued by the representation of bodies and their meanings in comics. Before arriving at graduate school, I had taken a lot of methods and data analysis classes as an undergraduate. I don’t know why, maybe because I had my preschool aged daughter at the time, and I was trying to figure out how we come to know the world. Whatever the reason I took a lot of methods courses as an undergraduate. When I arrived at graduate school, Leo Chavez, who would eventually become my dissertation chair had just received an R01 with his colleague in the medical school to study Latina’s knowledge and preventive practices related to breast and cervical cancer. It was the early 1990s before the effort to really engage community in the research process. Interestingly this was among the first study to actually ask Latina women what they thought caused breast and cervical cancer. Up until that time the standard was to ask people if they knew what science said were the causes, a knowledge deficit approach. So why did I get hired to work on the Cancer and Latinas project? Because I knew how to collect and analyze the type of data they wanted to collect for this study. At first they just had me working on data entry and analysis. But I told Leo, how can I analyze this data if I don’t know what’s going on in the interviews, or in the larger context of the lives of the people who were participating in the study. You can have the responses, but the interpretation would be my own, if I were out in the field interviewing and talking with the participants I could actually see and follow-up on the questions the responses. For example, how were responses affected when the interview was conducted at a church or at the woman’s home when her husband or children were around? How might the meaning change to hear someone say that it’s hard to find time to get to the doctor vs when you’re having the conversation in their kitchen while they’re cooking, folding the laundry, and rushing the interview a bit because they have to go pick up their kids from school. There is no way to get the context of people’s daily lives without being there, at least for part of the time. In my search to know more, and be involved in the project in a way that would enhance the analysis and better reflect what medical encounters meant to the women who so generously shared intimate moments of their lives with us, I was inspired, heart broken, and motivated to find out about how health inequalities were produced and understood. Thus, a medical anthropologist was born. Biosketch one reflects some of my accomplishments, but not my path, and certainly not what motivated the questions I ask about the world. In 2009, the NIH changed the format of the biosketch, now you had to include a personal statement. How does your expertise qualify you to be on this grant application? So we’re getting a little more of the story and Why what you’re doing is important to funding. But it still felt like a focus on the individual out of context. “scholars are social constructions”. There are a host of social institutions and relationships that determine “success” in academia and research; who is let in to universities, what qualifies as the scientific voice, what questions are valued enough to be supported, and how that work is ultimately evaluated. But how do you engage that social construction? As minorities, we all know the reading of our lives is different, and how we engage is complicated by colonized histories and struggles to “fit in”. As the first college graduate and PhD in my family, there was so much I didn’t know about education and higher education. I was told that I should go to college, but asking questions about how to do that were never encouraged. Just do, don’t ask. Growing up in a low income family, you’re just trying to help make ends meet. Just do, don’t ask. You grow up with the feeling that you should know how it works, so you either figure it out or you don’t participate. A friend spoke with me about this feeling when she talked about how she had to translate for her parents in all sorts of legal and medical situations. She grew up feeling like she always had to have the answer. She had to figure out how things works or she thought, she would have failed her parents and the family would suffer the consequences. Everything rests on our own individual shoulders and your own ability to figure it out. Strange how biosketches bring that anxiety out in me again. Working first as an anthropologist and then more intimately in community engaged research, I learned that you can’t successfully do this work by trying to figure it out by yourself. I do not have the answers, nor should I as a community researcher. I have my expertise, but I cannot do it alone. As an anthropologist I learned that I am a professional beggar; can I talk with you? will you share your knowledge? will you introduce me to your friends? can I try your food? And Carolyn knows this well, can I live with you? My career would not have taken the research path that it did had I not learned to ask, been respectful, and been inclusive in my obligations to the relationships that I was building. Everything that makes up my biosketch is not from my work alone but is a product of my social relationships. Have you seen Ken Robinson’s TED talk on creativity and teaching? One part of his talk where he says that academics think that our bodies are these things to carry our big heads on. Everything about academia and research pushes you to publish, get grants, make your way through merit and promotion. It’s all about you. Don’t ask, just do. Community engaged research is not about you and your career. Unlike the first Cancer and Latina’s project I worked on, all of my projects with community now have Steering Committees where the majority of members are from the community, before my response to any question what does the committee want to do? We have these things to get done, what works best? what should we be aware of? how can we help each other get this work done? Rather than the researcher framing the question and acquiring the answers from the community, we are equal partners. From writing the grant to publishing we are in conversation, we are constructing the questions that are valued, and we are figuring out how to answer them together. What this intensive collaboration means is that it takes time and it takes patience. For instance if you’re collaboratively working on a grant proposal and it’s basically done, you just need one more round with an editor, and then the community says they want to wait. They want to spend more time with the proposal before submitting it. What do you do? It’s better to do the right thing than to be bound by the constructions of the granting cycle. You can only do the right thing if you are collaborating, engaged, and asking questions. Just ask, then do. 2015, a new biosketch format. Okay, so here’s the email that got me all riled up. You need to update your biosketch to include Section C which asks you to briefly describe up to five of your most significant contributions to science. UGHHH, Cultural Anthropologist….growing Humanities orientation…… Contributions to Science??? The rest of the instructions state, For each contribution, indicate the historical background that frames the scientific problem; the central finding(s); the influence of the finding(s) on the progress of science or the application of those finding(s) to health or technology; and your specific role in the described work. Still freaking out, but what do these questions mean? If the NIH wants to encourage more interdisciplinary and community engaged work this emphasis on “scientific contributions” is problematic in the way that it constructs scholars who have “scientific” contributions. But I’ll leave that for now and think about generally how I can answer that question. In the historical framing they want to know what motivated me to ask the questions I am asking; what they mean to my peers, the group of people who framed the problem (other anthropologists? other educators? other community members? ); and what was my role in that work? How did I fit in with the team of people who collaboratively are working to answer the questions being asked in my publications. Rather than simply providing a list of my publications, they are asking for the context, for the past and present collaborators who were engaged in brining my publications to the fore. The way for me to respond to this biosketch is to emphasize a engagement and collaboration to be highlighted – how my research agenda embedded in larger social relationships? As I think about what’s next in health research, I see increasing critiques from the health humanities, community engaged work, and some of the federal funders to be more inclusive of the whole person. 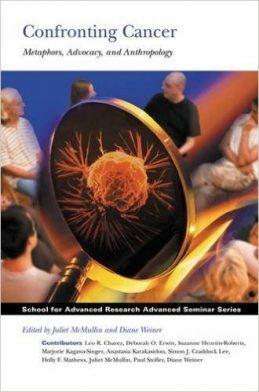 Like the new biosketch we should be asking questions about who are the people being engaged in medical encounters – just because medicine treats and individual body the experience of illness, and its representation, extends beyond clinicians and their patients to include the patients’ families, friends, and lovers. 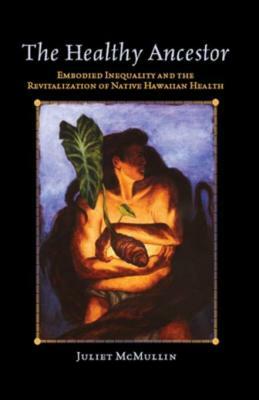 Anthropology with it’s long history in thinking about kinship has much to say about the relations affected by illness, and community engaged research particularly with the Pacific Islanders has emphasized the importance of bringing family into our efforts to be engage medicine and to live well. We must bring the whole person into our work. Community engaged research is at the forefront of that agenda and importantly it makes room for us to bring our whole selves into the research process as well. As a postscript – remember how I mentioned that I thought I was going to graduate school to study sociology of art and the gendered representation of bodies in comics? Well, one of my more recent projects is in the field of graphic medicine – the study of the role of comics in the health and the delivery of health care. – Through my excursions in medical anthropology, I’ve returned to an earlier interest, but with a critical eye toward health inequalities and the details of everyday life.